On Saturday, 29 April 2017 XL, the Republic of Molossia was visited by our first tourists of the year. 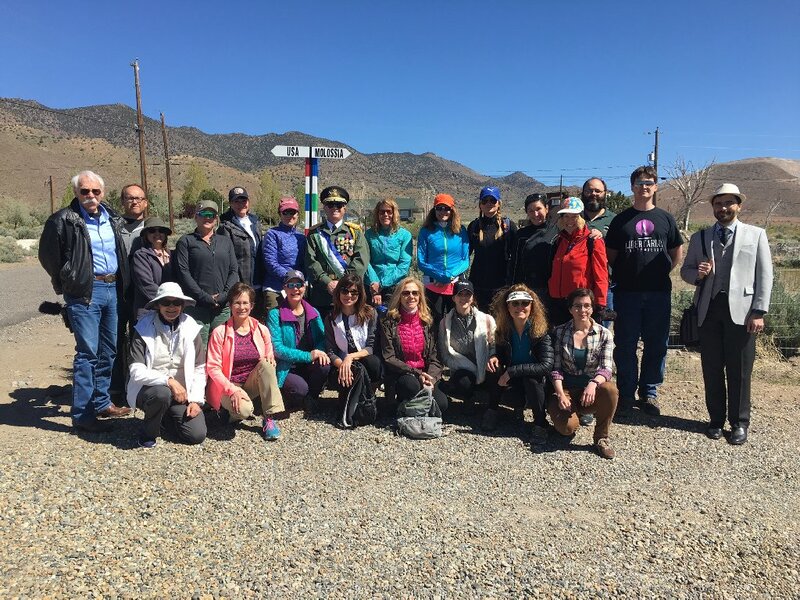 At about 10:41 AM MST a large group of 22 tourists arrived in Molossia, including members of the Libertarian Party of Nevada and the Women's Hiking Club of Incline Village. 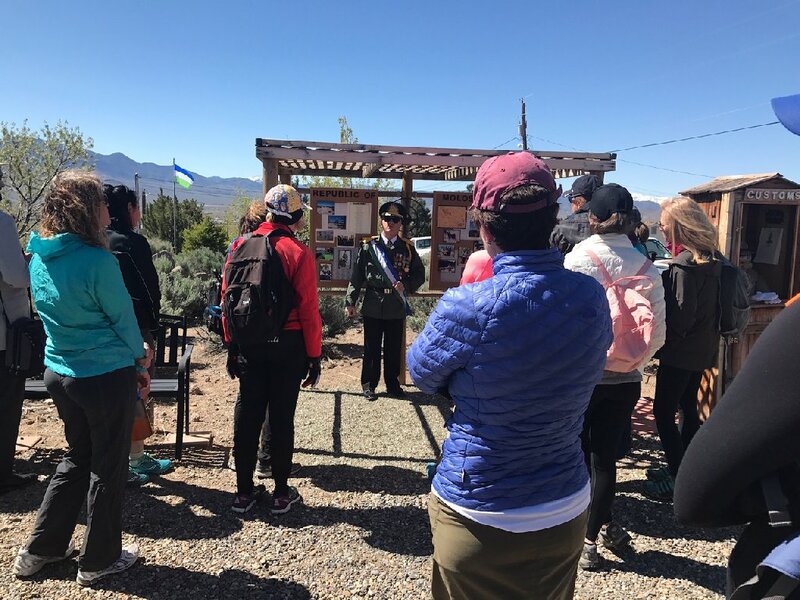 One of our largest tour groups, they all explored Molossia escorted by His Excellency, The President, The First Lady and Chief Constable Alexis. They took in all the sights of our nation, including Red Square, Norton Park and the Tower of the Winds. The President as usual regaled our visitors with the stories and culture of Molossia, ensuring they had an enjoyable visit. Finally, their curiosity about the world's smallest republic satisfied, our visitors returned to the United States, destined for adventures elsewhere. We are happy as always to have hosted this mighty group of travelers and fans of Molossia in our nation and wish them well on their future pursuits. Our Big Group Of Visitors.